Trump said he did not expect another shutdown, while continuing to insist he could find a way to bypass Congress and build a wall without lawmakers. 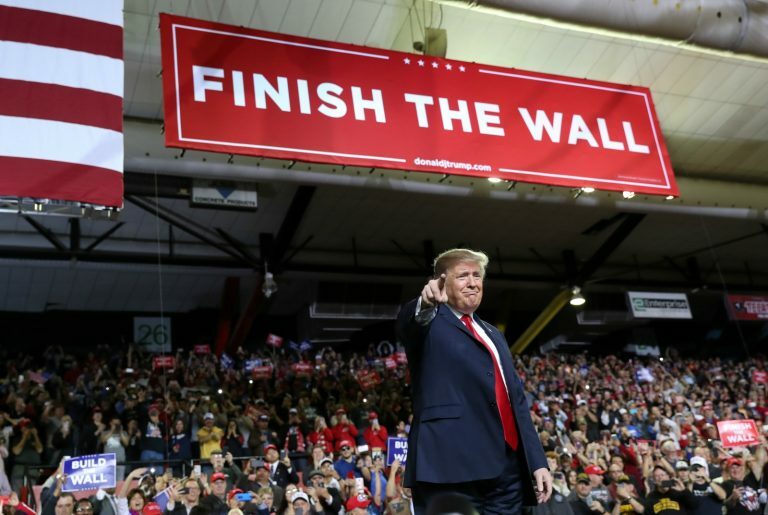 President Donald Trump said on Tuesday he was unhappy with a deal struck by congressional negotiators on border security that denied him funds for his promised US-Mexican border wall but did not reject it outright as fellow Republicans urged his support. On Tuesday, Trump signalled possible unilateral action. Republican James Inhofe, who heads the Senate Armed Services Committee, told reporters that he urged Trump weeks ago not to raid Pentagon accounts to build a wall. Inhofe indicated Trump could try to use the Army Corps of Engineers funds. McConnell, who had counselled Trump against the previous shutdown, said Democrats had abandoned "unreasonable" demands. McCarthy told CNBC that Democrats had caved by allowing the new border fencing. The border barrier funding was far short, however, of the $5.7 billion in wall money Trump wanted and was less than Trump could have had in compromise legislation passed in December by the Senate.